Back in June, Google announced a rather nifty new feature coming to Chromecast: your friends and house guests would soon be able to connect to your Chromecast without being on your WiFi network, thanks to the clever use of magic ultrasonic sounds. Today, after a few months of silence, that feature launches. One bummer of a caveat, though: it’ll only work if your friend’s phone is running Android, for now. Why? It all comes down to that age-old problem: iOS apps aren’t allowed to do certain things required to make it work, so they’re rolling with it on Android until that changes. Guest mode is off by default. 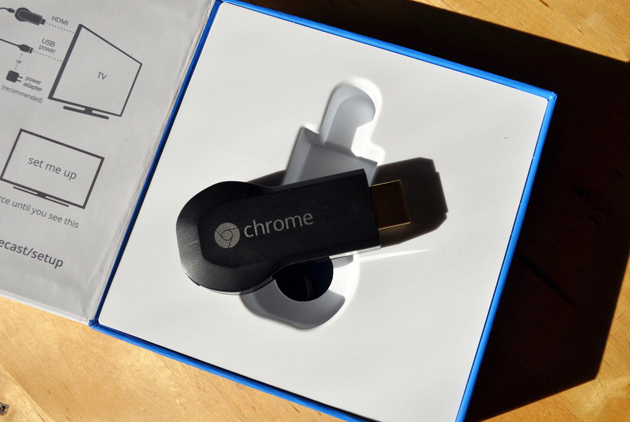 Flip it on, and your Chromecast will start displaying a PIN on its idle screen. Meanwhile, your TV will start emitting ultrasonic sounds, inaudible to the human ear*, which Chromecast-enabled apps on your phone will be listening for. When the two find each other, everything falls into place and the pairing is made. You’ll still need WiFi for the Chromecast to pull data over — this just keeps you from needing to share your WiFi credentials with everyone who comes over for your super rad YouTube parties. To turn it on, just pop into the Chromecast app, select your Chromecast, and hit the “Guest Mode” checkbox.